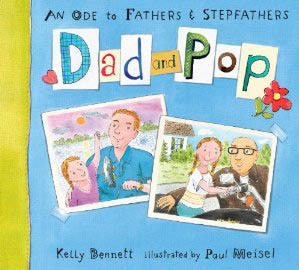 For every child who is part of a blended family, Kelly Bennett’s new picture book, Dad and Pop: An Ode to Fathers & Stepfathers, is an absolute must. Dad and Pop is the sweet story of a young girl’s life with her biological father—Dad, and her stepfather, Pop. With brief, comfortable, conversational sentences, Kelly Bennett captures the young child’s accepting voice as she describes her blended family with a sense of pride and wonder. 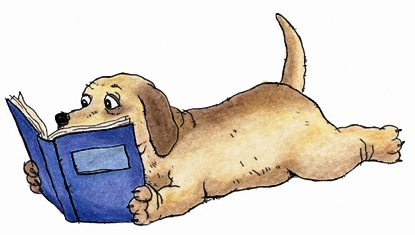 Illustrator Paul Meisel captures the laid-back tone of this feel-good book with silly drawings littered with family photos, family outings, and fun family activities. Five stars for this sweet and original look at blended families. This little book really packs a wallop. Great for Father’s Day, or “just because.” Click on the icon on the right to order.